(c) PeaceΠece & channel:ai ( [ai:yo] web-TV Broadcasting. ) with [ai:yo] creative entertainment. 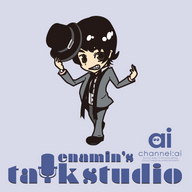 (c) channel:ai [ai:yo] web-TV Broadcasting. & 5DG - Five Dimension Graphics - & PeaceΠece & XENONICS & nuuno & [ai:yo] creative entertainment.